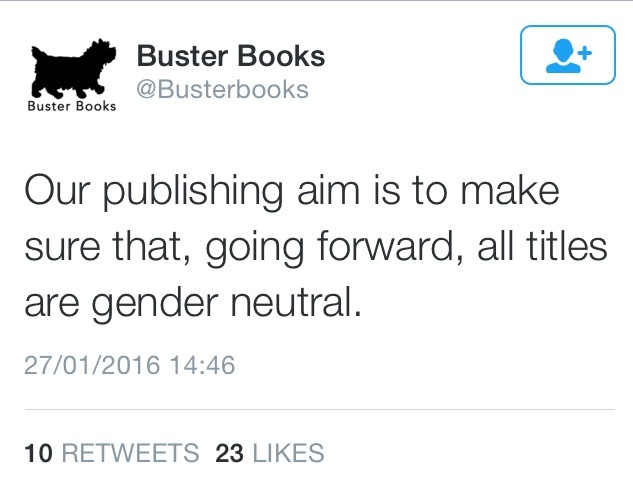 Buster Books was one of the three named publishers in the Let Books Be Books petition launched almost two years ago on World Book Day. 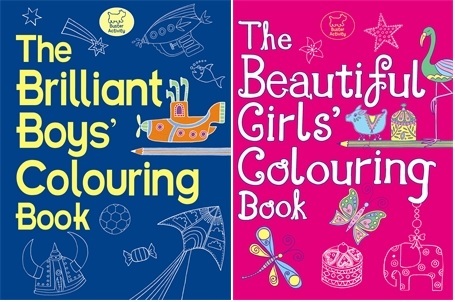 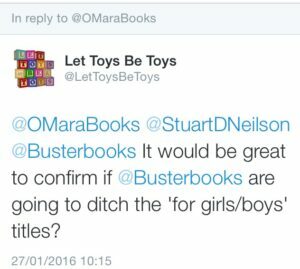 While Usborne and Parragon responded almost immediately and agreed to stop publishing the titles, the other two named publishers, Buster Books and Igloo Books, have been slower to respond favourably to the campaign and its supporters. 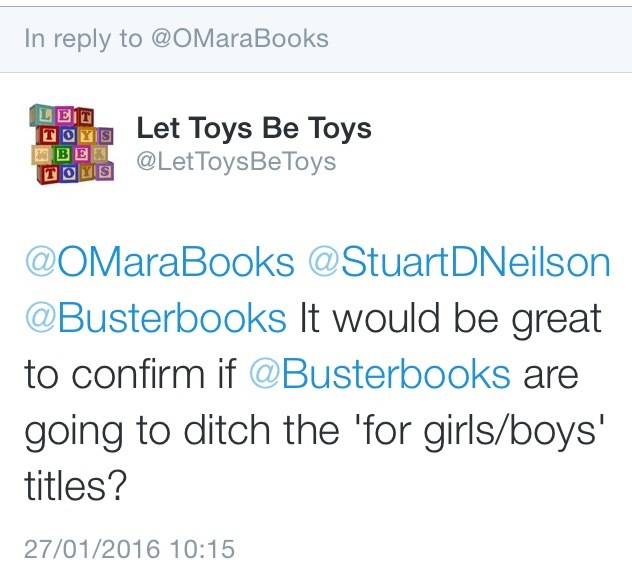 For further details about Let Toys Be Toys and the #LetBooksBeBooks campaign, please email lettoysbetoys@gmail.com. 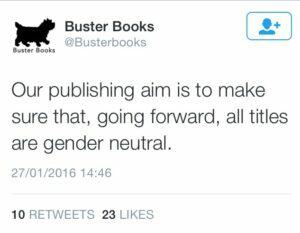 Buster books have made this decision!